Being really good at energy efficiency can be a thankless job. The big impact of energy savings is hidden in boiler rooms, electrical panels, and DDC systems; mysterious back rooms and hallways the public never sees. No one (unless you work for SES!) stops to think about the energy needed to make the awesome wave pool work, or keep the ice rink functioning at +30. That’s why well crafted public information tools are so powerful. They take the story of energy efficiency and make it accessible. 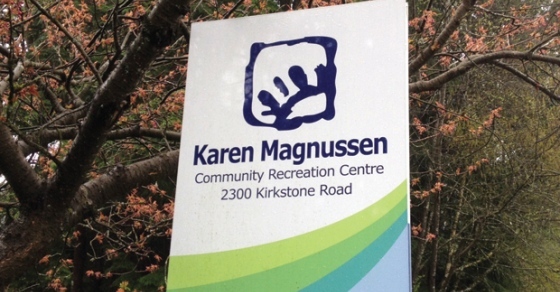 SES’ client, the District of North Vancouver, is helping to bring the impacts of energy efficiency to light with this great story and interactive tool about the recent upgrades at Karen Magnussen Recreation Centre. This resource grew out of an event they hosted as part of the BC SEA Green Energy Doors Open event giving industry experts and the public behind the scenes access to promote the impacts of energy efficiency. SES is proud to work with industry leaders like Monica Samuda, Paul Forsyth, and the District of North Vancouver. Not only doing great work in their buildings, but sharing the energy conservation message far and wide.